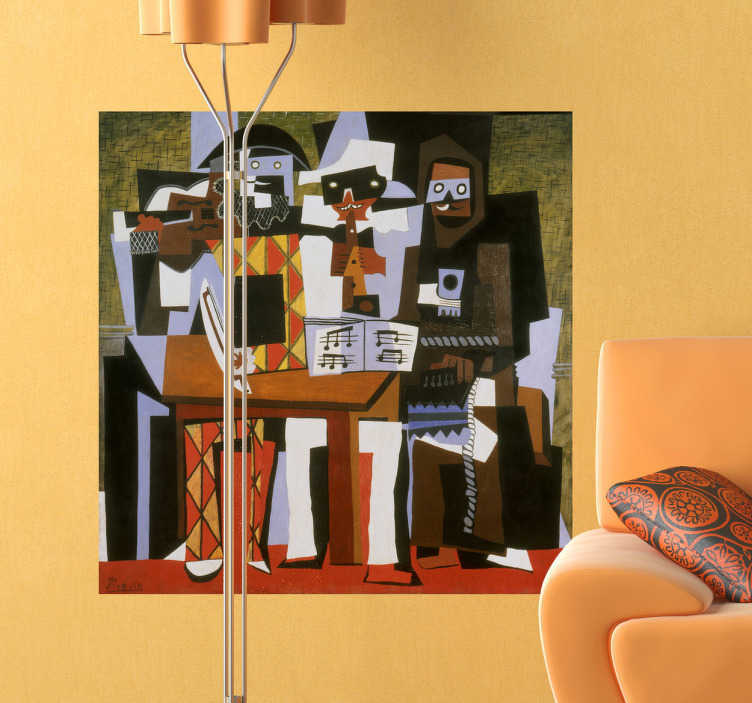 From our collection of stickers with recreations of famous artwork, a design of Picasso's 'Three Musicians'. This impressive and creative illustration from this Spanish artist's cubism period shows three musicians playing music together in an abstract way. Turn your home into a museum with this recognised painting created in 1921. Lovers or art and impressionism are sure to love this sticker to decorate any room in their home. A range of sizes available to best suit the space you want to decorate. Made from 100% high quality vinyl.